Pick up an inexpensive set of glasses and paint from your dollar store and make custom painted glasses. Use stencils to help create your design if you’re not the best artist. Instead of spending $100 on a nice gift basket, why not make your own? You can pick up a basket at your local craft store for less than $10 and fill it with your loved one’s favorite items. 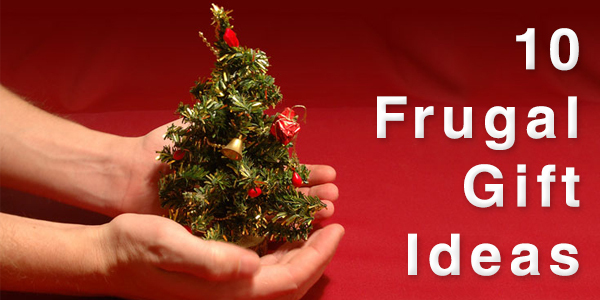 Make your own Christmas tree ornaments for your friends and family. If you’re not the most creative, there are kits available at your local craft store. Chocolate truffles are always a hit and they’re an intermediate recipe with a good price. Check out Alton Brown’s Chocolate Truffle recipe. This is a classic gift from kids, but you can put your own spin on it for a frugal gift. Think about what you can offer your friends and family they’ll really appreciate.